FYI, they still sell pimento sandwiches at the Masters golf tournament in Augusta, GA. They even trim off the crust. oh man! is there really that much mayo in it? no wonder it’s so good. 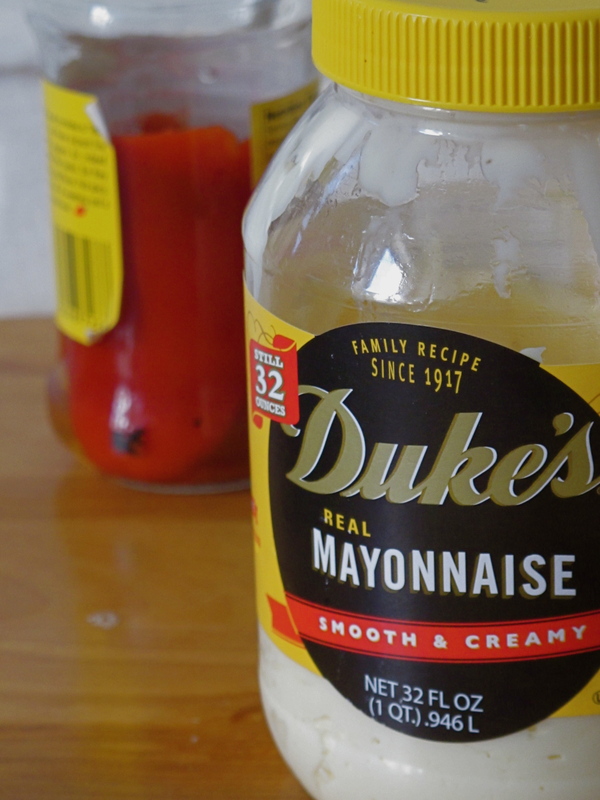 i used to have a big problem with mayo (the idea of it, not necessarily the taste) and i’m slowly getting over it. i might have to look away when you mix in the mayo 🙂 such a culinary wimp. 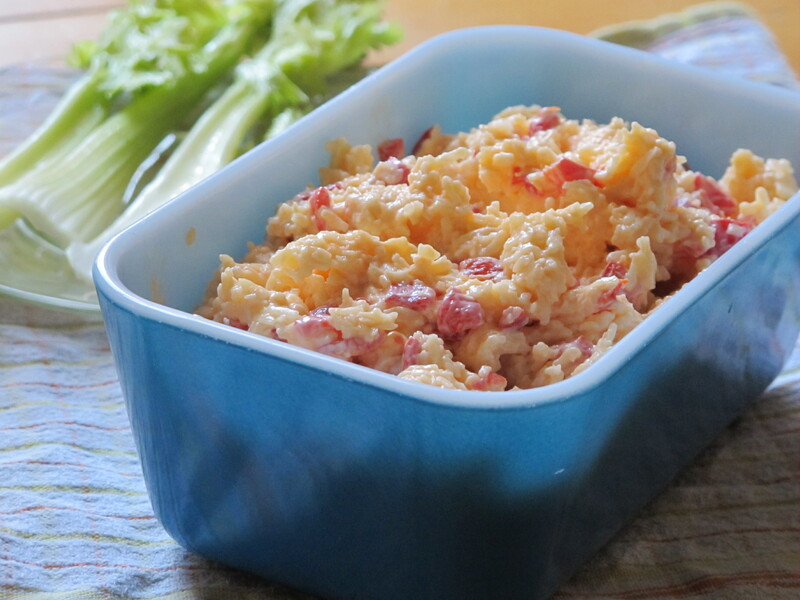 I’m not normally a pimento cheese girl, but I have a feeling I haven’t had it done right. I mean, what’s not to love about cheese, mayo, and peppers? I used to feel the same way until I changed the kinds of cheese and peppers I was making it with. American cheese and jarred diced pimentos don’t have much flavor imho. “Piquancy”? Really? Those little diced up translucent red ones that come in the tiny glass jars?